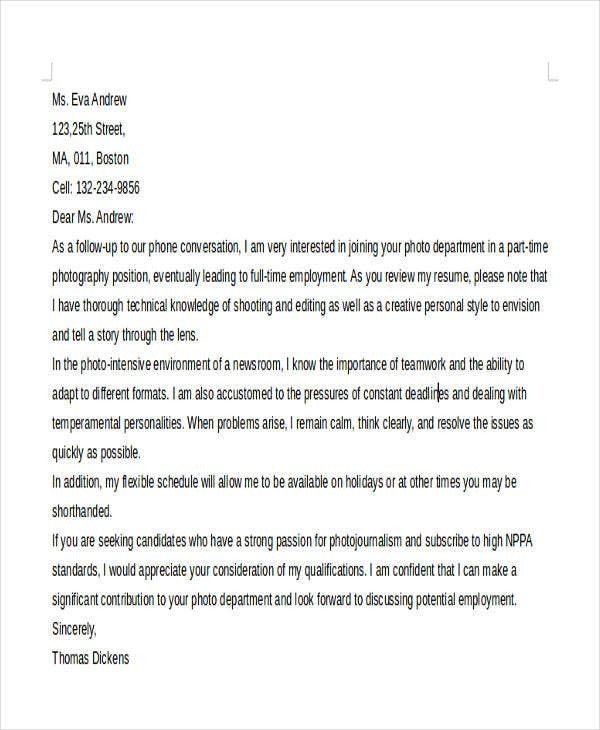 Building a career as a photographer requires more than just submitting a Hard Copy Cover Letter and a resume, you need to be able to submit a portfolio of your best work and hope that your pictures will stand out and be able to impress the employers. 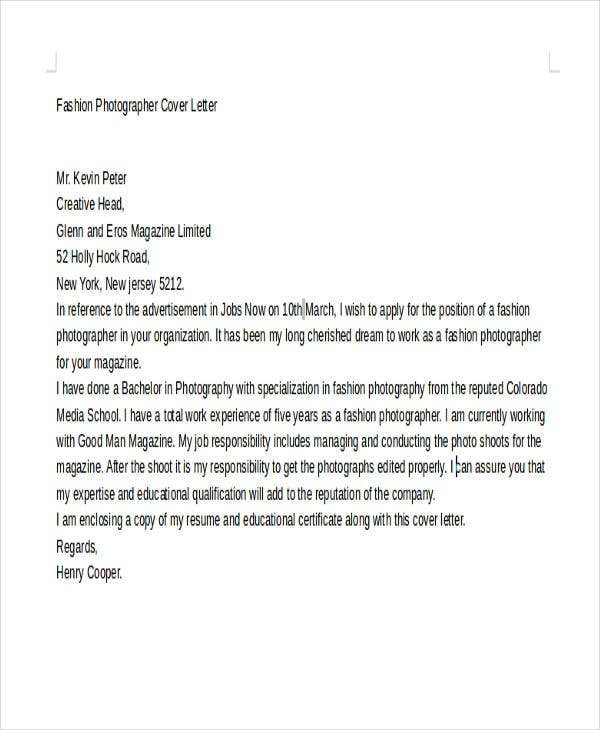 As with other jobs, you need to be knowledgeable in the proper way of Cover Letter Writing, but this is just one of the factors that will help you in securing a job in the photography industry. 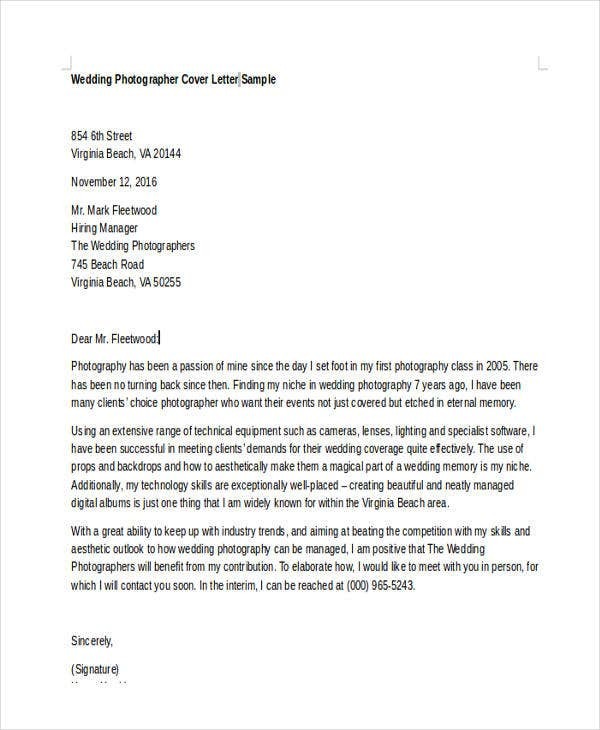 Whether or not you are being required to submit a cover letter, it is always best to come prepared if you are planning to work as a photographer. 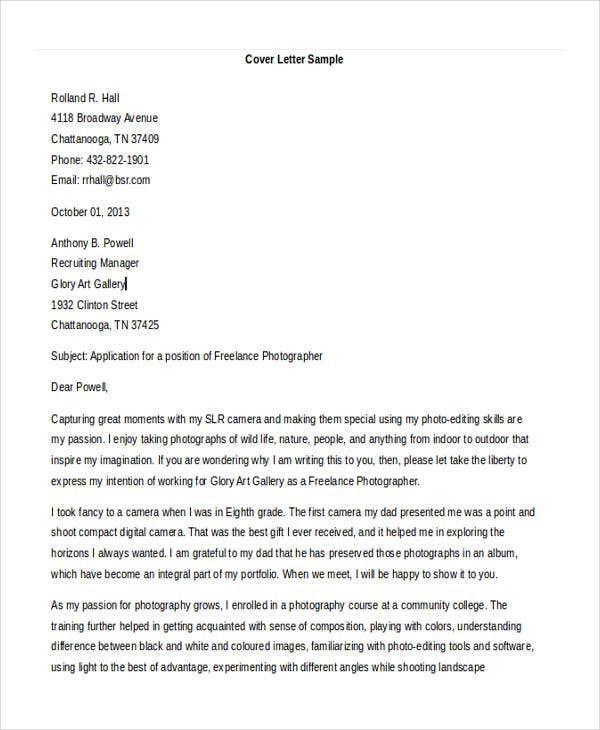 Start the cover letter by explaining right away your intention of applying for a position as a photographer. Explain briefly your experience in the profession and other reasons why you think you are the best candidate for the job. Thoroughly discuss your employment background and a few skills relevant to each position. Reiterate your key skills that make you the best candidate for the position and inform them on how you can contribute to their company. Leave a call to action but also inform them how you will follow up to your application if no response is heard after a week. 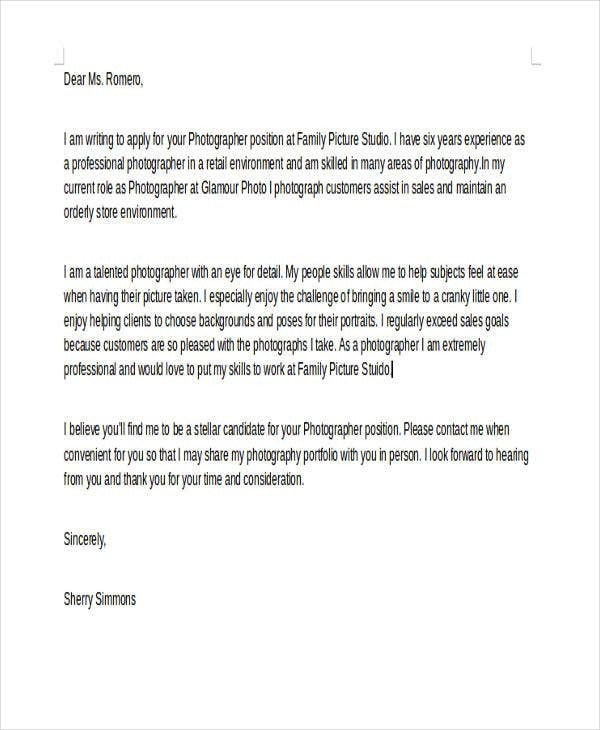 Sign off on the bottom of the letter by placing your signature over your name. 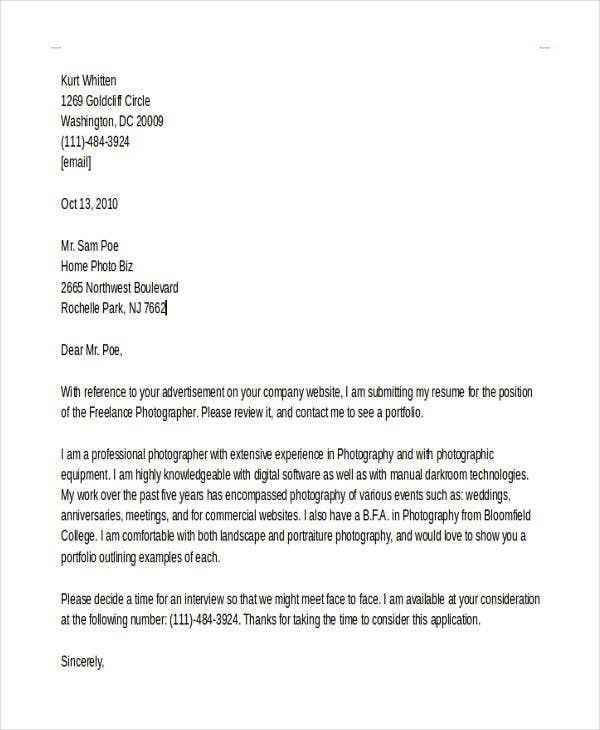 For more information on the Cover Letter Format, you may want to check out our collection of Professional Cover Letter Templates. Have the right equipment before you can even start your career. Improve your photography skills by reading off photography books, attending seminars, and practicing constantly. Be familiar with your camera and its settings. Know how to do postprocessing with your images using raster graphics editor software. 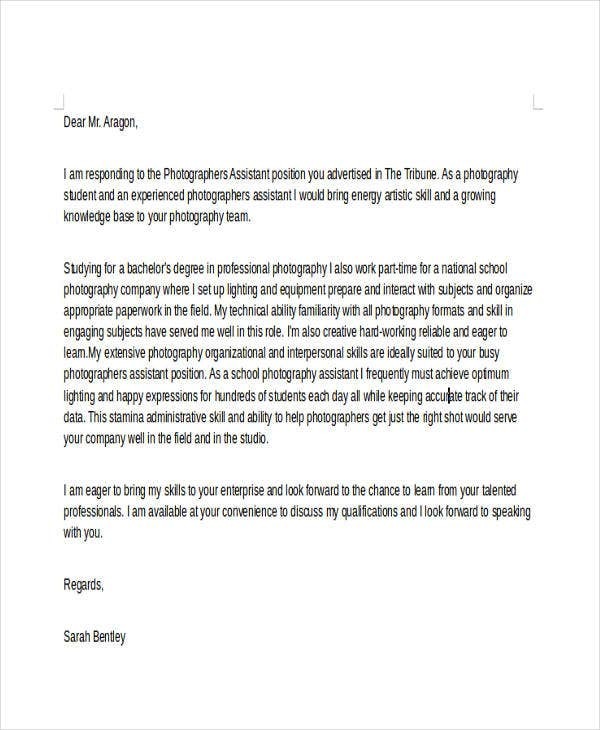 Make your own portfolio which you can use if you wish to take your career a step higher. 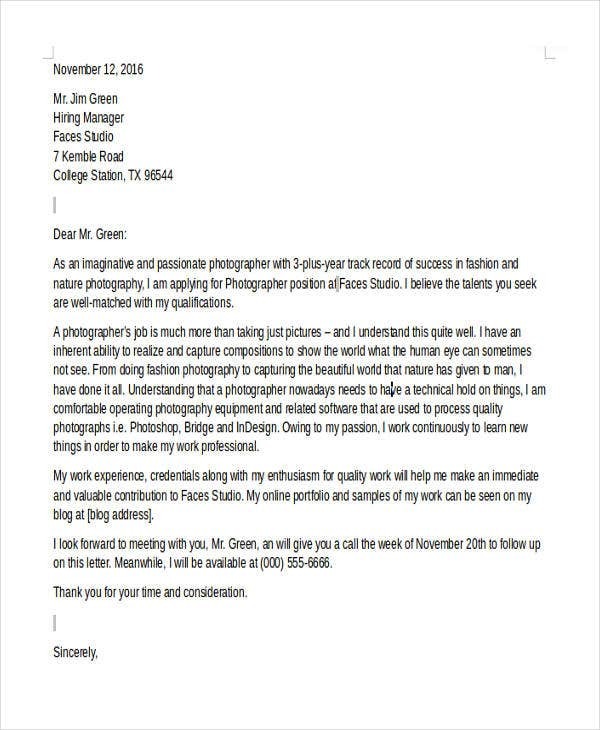 If you are looking for more Cover Letter Templates, you may also want to check out our collection of Entry-Level Cover Letters. What Are the Traits Needed to Become a Good Photographer? 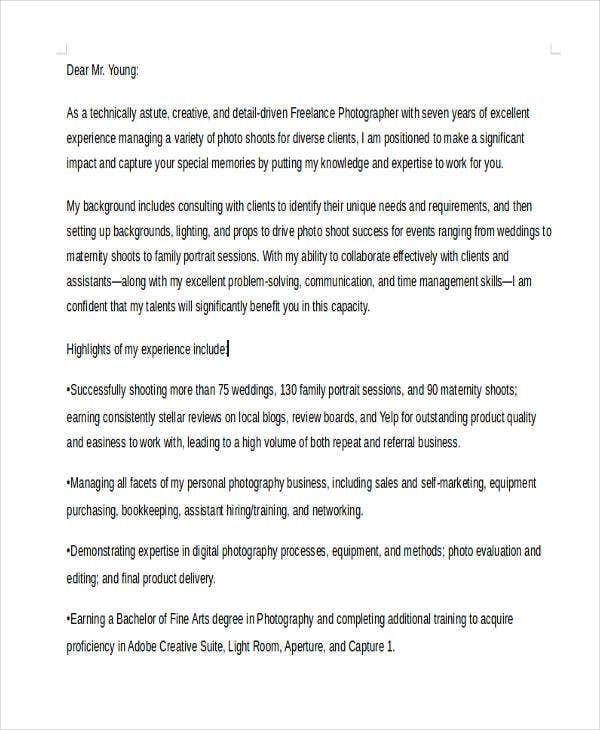 A good photographer should be creative, which is the main and most obvious quality needed for one to produce astounding images. A good photographer should be skillful in the technical sense and should know how to choose and use the best equipment and tools. A good photographer should pay very close attention to details, and this is what helps them compose the best shots. 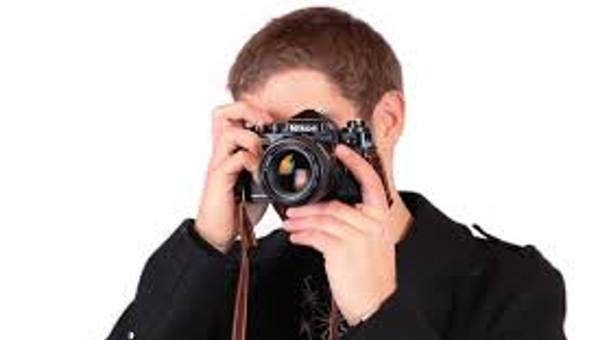 A good photographer should have an excellent eye-to-hand coordination as well as heightened reflexes to be able to capture even the quickest moments. A good photographer should be patient enough to wait for long periods of time just to get that one beautiful shot. 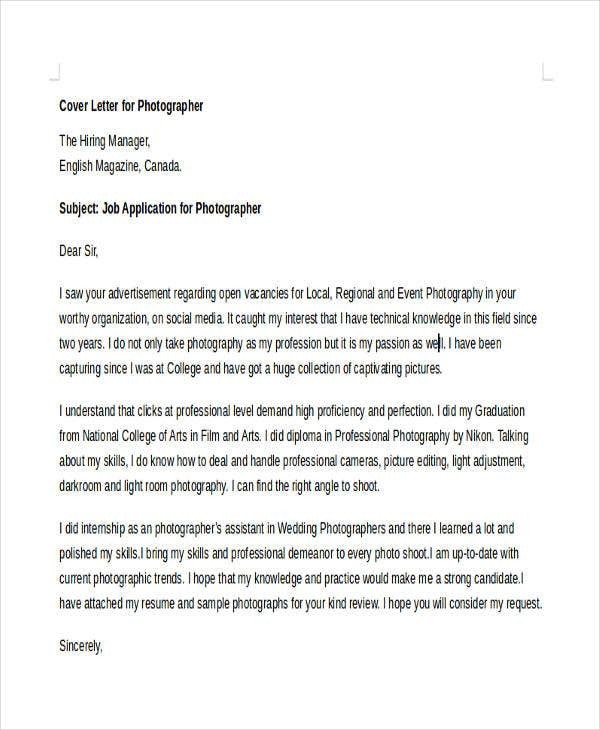 And for even more Cover Letter Examples, especially ones you send through email, go ahead and check out our collection of Email Cover Letter Templates.